Working Today for a Jewish Tomorrow! Chabad of Downtown's Jewish Enrichment Campaigns seek to enhance knowledge, and observance of Judaism, one Mitzvah and one Jew at a time. Only by encouraging an appreciation for our Jewish traditions can we ascertain our Jewish future. As a connection between man and G‑d, a mitzvah is a deed of cosmic significance, a deed of infinite value unto itself. Maimonides writes that a single person performing a single mitzvah could be the deed that tips the scales and brings redemption to the entire world and all of creation. A Mitzvah means a connection. Isn't it time you get connected? Contact us by calling 410-605-0505 or email by clicking here. We will gladly set up a time to assist you in doing your mitzvah. Women and girls (age 3 and up) are encouraged to light candles every Friday afternoon, 18 minutes before sunset, in honor of the Shabbat, and before Festivals. 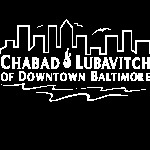 Chabad can provide you with a Shabbat candle lighting kit, candle lighting schedule for Baltimore, and a brochure on how to light up. Men (age 13 and up) are encouraged to wear the Tefillin every morning excluding Shabbat and Festivals. Tefillin are black leather boxes containing small parchment scrolls of selected portions from the Torah, in which the fundamentals of the Jewish faith are inscribed. Has it been a while since you bar mitzvah? Need a refresher on how to lay Tefillin? The Rabbi will be happy to give you a few minutes. Need a new pair? We’ll help you find the right one within your budget. Want to check an old one, bring your Tefillin to our Chabad House to have them checked by a professional scribe. Every Jewish home should have a mezuzah on its doorposts. The mezuzah contains the Shema and is a sign that the home is sanctified for G‑d and enjoys His protection. Need help getting or affixing your Mezuzah? Does your old Mezuzah need checking? We will gladly set up a time to come and assist you in doing this great mitzvah. Study a portion of Torah daily. Even a few lines contain the infinite wisdom and will of G‑d. Join a Torah class or start you own; there is bound to be something that will interest you. Click here for more info on Chabad’s Adult Education opportunities. Click here for our online study center with a cornucopia of audio and video lectures, articles, tutorials, classic text and much more. Give charity daily. When you give to the needy, you are serving as G‑d's emissary to provide for His creatures. The home is a classroom, and keeping a "pushkah" (charity box) in your home — and contributing a coin to it every day — will teach you and your children the noble value of regular giving. Need a charity box for your home or office? We’ll be happy to bring you one. Click here to shop our online Judaica Store for thousands of Jewish books. Eating is one of the basics of life. Shouldn't it be done with intelligence? For a healthy and sound soul, eat only kosher foods, for when you eat differently, your Judaism is not just metaphysical, but part and parcel of your very being. Need help going Kosher? Want to learn what Kosher is all about? Chabad is ready when you are to advise you on the what’s and how’s of going Kosher and to help you kosher your kitchen. "Love your fellow as yourself," said the great Jewish sage Rabbi Akiva, is a most basic principle in the Torah. Reaching out to your fellow Jew with patience, love, concern and unity is among the greatest mitzvot a Jew can do. Chabad’s community events foster a feeling of unity and community amongst fellow Jews. Volunteers visit and the elderly homes, the sick in the hospital, and the incarcerated in prison, bringing them a smile and listening ear. Click here to learn more. Every Jewish boy and girl should receive a Jewish education. Teach your children everything you know about your faith, and provide them with a quality Jewish education — you will be ensuring Jewish integrity, Jewish identity and a Jewish future. Observance of the Jewish marital laws allows you to make the most of your marriage, bringing you and your spouse to new, undiscovered depths of intimacy and sacredness in your relationship. Chabad offers private lessons in the laws and meaning of family purity with the rebbetzin for women and rabbi for men as well as tours of local mikvahs. Every Jew should have a letter in a Sefer Torah written just for him or her. The Jewish nation is one Torah scroll. Every individual — big or small, scholar or unlearned — is one letter. We are all one, interdependent and equally important. Children: click here to purchase a letter online for only $1 in a Torah Scroll being written in Israel and receive a beautiful personalized certificate. Everyone: click here to have a letter written in the "Unity Sefer Torah" currently being written in the Holy Land. Every Jew should have the opportunity to celebrate the Jewish holidays and perform their various traditions. 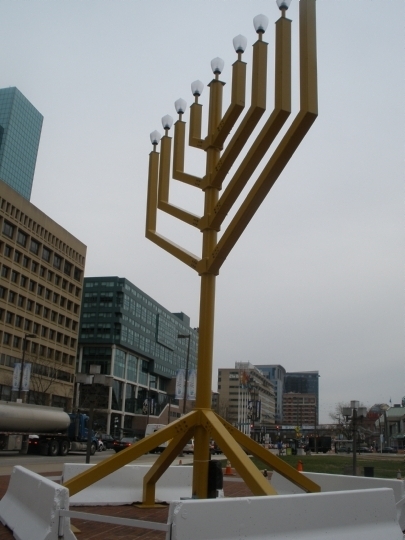 Chabad of Downtown’s holiday events and awareness campaigns bring the opportunity to celebrate the holiday, listening to the sounding of the shofar, blessing the four kinds etc., to all. Chabad also distributes, in print and email, beautifully designed brochures with information on the holiday's history, meaning, customs, local candle lighting times, recipes and much more. Imagine a life untainted by stress and worry, beyond petty jealousies and quarrels, where all human occupations are transformed to spiritual paths towards a deeper wisdom and a higher knowledge. Anyone who adds even one more act of kindness to this world is a partner in building the whole new world we are waiting for - life in the time of Moshiach. Yet, it's hard to yearn for something when you don't really know what it is. Chabad strives to educate people of this fundamental Jewish belief and most importantly to encourage the performance of another good dead to hasten the arrival of Moshiach. Need help with any Mitzvah Contact Chabad we’ll help as best we can!